It is sometimes confused with the Mull of Kintyre and overshadowed by its better known neighbours like Skye, but the Isle of Mull has kept its secrets well hidden. its varied scenery ranges from forest dripping with lichen and moss to the wilderness of Ben More to coastal crags, cliffs, bays and beaches. 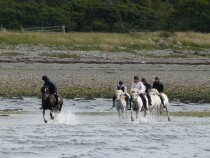 a centre for action packed holidays on water or land. or a place where you can just drive our single track roads and look in the scenery at the more relaxed pace of an earlier era, and where you can stop to take in a waterfall, a beach, or a ruined village. 53 miles from one end to another, rising from sea level to 966 m (3168ft) and a population of only @ 3,500 The Isle of Mull is the perfect habitat for a multitude of species. Add to that the clear blue waters of the Hebridean Sea and the myriad of islands and islets scattered in them and you have a nature lover's paradise. Strangely Mull has no foxes or squirrels but makes up for the lack in the number of otters that can easily be observed hunting and at play. It's a good idea to take a guided wildlife tour of the island near the start of your stay then return at your leisure to those areas that are of particular interest to you. Take to the seas for whales, dolphins, sharks, seas and those elusive birds that only come ashore to breed. Best of all visit the Treshnish isles for puffins and the amazing breeding station of Dun Cruit. 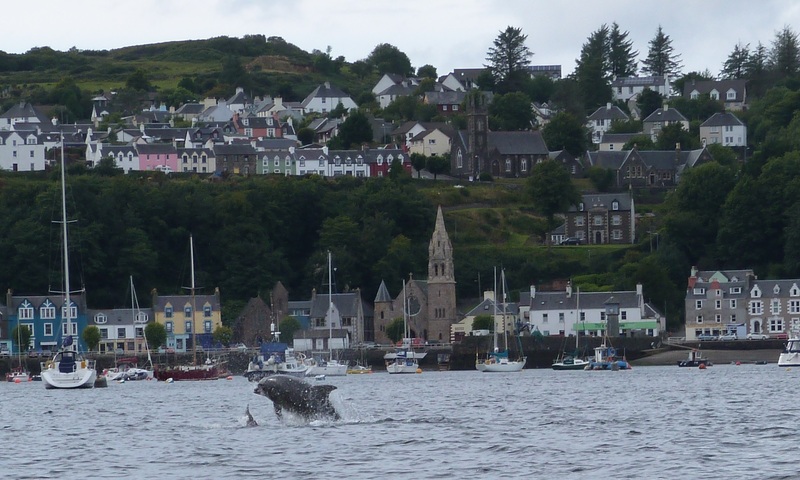 Of course if you are really lucky you may end up watching dolphins perform in the bay in Tobermory! Known to the Ancient Greeks as Maleus, Mull is rich in pre-historic remains such as standing stones, stone circles, cairns and crannogs. Then the arrival of Christianity with Columba on the holy isand of Iona - attacks by Vikings - clan wars- the Spanish Armada- Cromwell - the clearances - two world wars - all have left their mark. 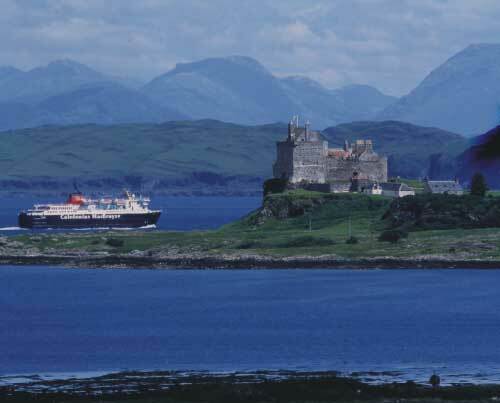 Visit the excellent Mull Museum and Duart Castle to learn more. Mull has always attracted artists and you will find exhibitions at An Tobar, Angus Stewart's gallery and Calgary Farmhouse. Particularly dear to our hearts is the Mull Theatre which presents the most amazing variety of professional and amateur performances. 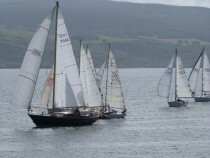 Scotland and the west coast in particular has a strong musical heritage and you will often find some musical event on. The most traditional music will be found at the Mod, an annual competition of Gaelic culture but there is a modern tradition as well with groups performing modern Scottish music, often at An Tobar. The incredible travelling cinema - an articulated truck that transforms into a 90-seater cinema in the harbour car park. See the latest blockbuster and step out into a moonlit light over Tobermory Bay.